hi, I write you from Italy, I apologize me of my a little clear English. Would I like to know if it is possible to read the distance among two colors, I make sense of better me, do I have two colors a red and the other green it is possible to know to that distance is found the green by the red? I would like to make to turn a servant motor through ssc32 of the lynxmtion so that to vary the position of the servant in base to the distance. if it is possible where I can find an example. Can you attach an image that would be used in your project? I assume it would be one with a green and red object. Is the distance between these two objects is your final goal? here is the project that I would like to realize, when I open and I close the mouth the servant you/he/she should vary his/her position. possego a pc, servocomando and ssc32 for comadare the servant. Yes, that helps. 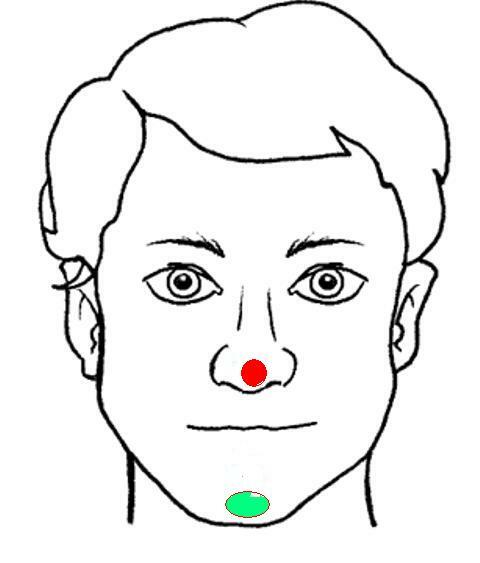 Can you now attach an image with your face with the green and red dot? It is VERY important to construct these analysis using actual images that you plan to use. I recommend using the camera that you intend to use and in the location you plan to test in. With that image we can help you move forward. 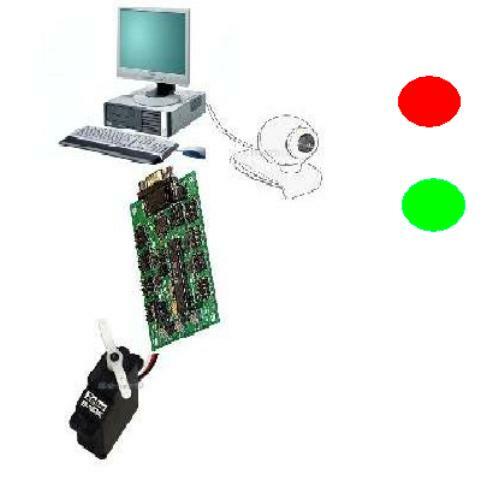 in enclosure there are two design of a face one with the closed mouth and another with the open mouth, I would like to know if roborealm can read me the distance among the two colors (red and green) so that to make to vary the position of a servant with the opening or closing of the mouth. You are missing the point on the images ... it is easy to process "fake" images that are black and white with the only color being what you want to analyse ... real images are a lot harder. For example, try the attached on your "fake" images which will give you what you want. It will NOT work on real images. I/you/they have not perhaps been clear, I simplify, it is possible to know with roborealm the distance among two colored dischiis (red and green) sets to 5cm. of distance a dall' other, so that to vary some distance among the two colored disks can move a servant. Yes, that's what I have understood. The post above does exactly that. The number displayed in the top left corner is the distance in pixels between the two colored dots. The issue is that these are not 'real' images. They are images created using a paint program. You need to take some real images that are taken from a camera in order to really test the red and green blob detection. Once the detection is reliable calculating the distance is trivial. Best youstart experimenting yourself. The above robofile should allow you to do that. 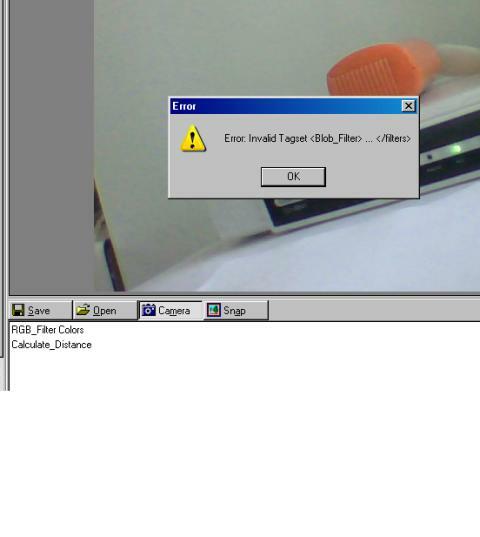 the file programm.robo me from error "error: invalid tagset...." you could send again it, so I can try him/it. Here it is again ... you may need to right click and select "Save link as". excuse if I insist but continuous to have this error, I attach screened. What version of RoboRealm are you running? Even from the little bit of interface that you are showing in your screenshot it seems to be a VERY old version. Unfortunately, you will have to upgrade in order for that file to work. It is using modules that do not exist in your version. version 2.2.3 have been me given as a present some years ago, thing to do for adjourning?